Sometimes there might be scenario where we need to verify certain fields using event handler. Suppose we have to verify whether the telephone number you have entered is valid or not. For this we are going to write the validation event handler. Please see below the steps for the same. Note: Here we are assuming that you have oim custom installer for jdeveloper. Also you know how to create the folder structure structure for the same. 1) Develop the project in jdeveloper as shown in figure below. 2) Copy paste the below code. 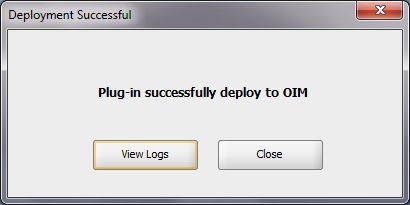 4) Go to jdeveloper, select you project.Go to Tools-->OIM Customization installer-->Deploy as shown in figure below. 5) Once deploy successfully It will show you the success message as shown in figure below. 6) Now go to oim and create user. 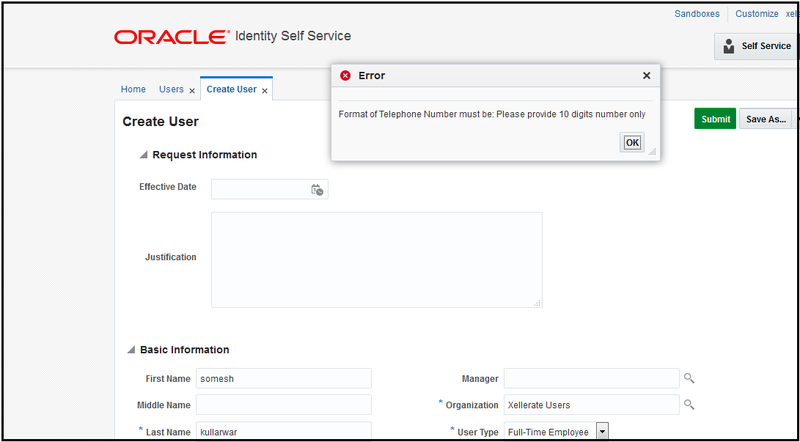 Enter the invalid value for telephone number. 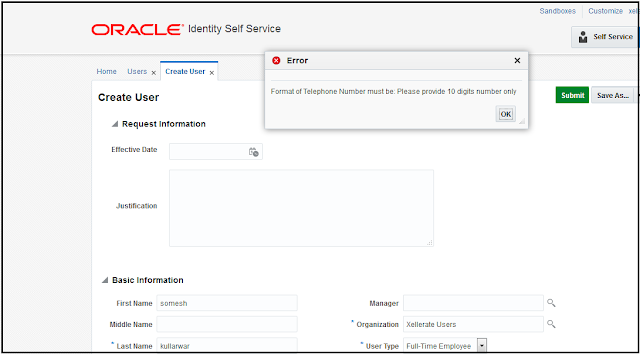 You will get error message on the console and it wont allow you create user in OIM as shown in figure below. 7) In this way we have developed an validation event handler.